Poor Guys All about the Girls . Only 2 Costumes and i see nothing new . No Haircuts ect . PP . I just hope they listenend and we see some new Stuff on EVO coming. So bored about the Girls right now . I totally feel your pain, speaking for myself here. The only character I actually have any interest in now is Kasumi, seeing as my male characters Bankotsubo (Tengu) & Gen Fu are gone (loved that old fart back in DOA2 not so much in DOA5LR). I don't think so Team Ninja understand how much that they can make from the male characters too, they're just stuck in their old ways of thinking SMH. Totally off topic, but damn I really need a male character to pick up. Raidou's gameplay is looking delectable! me after watching these New Gameplay Clips at Max Festival , i think they improoved and polished the Hairt Animation for the Girls =) Am i wrong =? Can u tell me =? Now give something new to Lisa. That looks so cute! 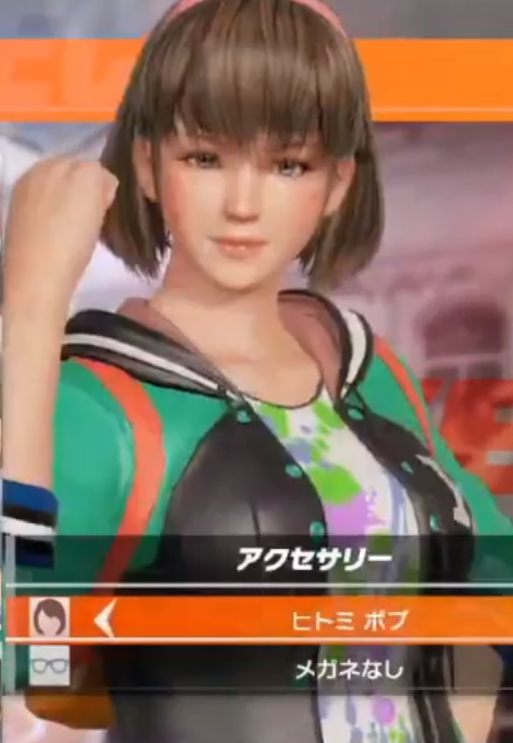 Yeah I'd like to see Hitomi get it in doa6 too, Hopefully she will, I wonder if there is any hairstyles we haven't seen yet? If there is an announcement at Evo what time could we expect it at? Kinda off topic but why has Hitomi’s face been looking really off lately? Both X3 and 6 make her look like a completely different person. Back on topic, the hair IS cute with that particular outfit. Can someone ask Manny about Hitomi’s pigtails? That is literally so cute.